Our society is suffering from a progressive breakdown of interpersonal relationships. People are more connected than ever…and less connected in real relationships. Texting has taken over talking. Relationships have diminished and people actually spend less quality time with family and friends. People are bashing authority, taking matters into their own hands, attempting to kill people because they don’t like them, to all sorts of manipulation and evil. What on earth has happened in this nation? How did the breakdown start? What can we do to bring about change? It’s imperative to take time to get away to spend with family and friends, or you will get caught in the crossfire of enemy tactics. Satan is afraid of what you can become in Christ…so he seeks to destroy any of us at a young age. Be encouraged….people who have been the lowest often end up the highest. The Scriptures tells us, “He who humbles himself will be exalted” (Luke 18:14). There is always something you don’t know in any situation; so be careful not to assume and judge. Satan will try to get you to accuse, assume, attack, belittle, lie, and slander. He will paint a rosy picture to get you off course and it never ends well. Remember Judas. Sowing and reaping is a principle that works in the good and the bad. Satan comes to distract, deter, damage, and create doubt and duress in the lives of every believer so that we are derailed by evil tactics. Lack of respect, lack of respect for authority, and moral decay has swept through the nation. It is obvious what is happening. Satan is out to steal, kill, and destroy. The Bible says that we are hid in Christ (as born-again followers of Christ) and the devil cannot find us. He roars like a lion trying to get us to come out and align with him through negative confession, accusation, slander, and all sorts of evil. Satan comes to divide your mind against God. He will try to divide your marriage, family, friends, cities, churches, and nations. A house divided will not stand. A nation divided will not stand. When people lose their moral compass, disaster is imminent. Choose this day WHO you will serve —God or Satan. Determine in your heart to be the change in every situation. Determine to confess the Word of God over any and every circumstance, regardless of how it appears. Stay in alignment with God’s Word which is His will. Build your house upon the ROCK…Jesus Christ…a sure foundation. We will never improve on God’s “ancient path.” (Stand at the crossing, and consider the ancient path, that leads to Me. 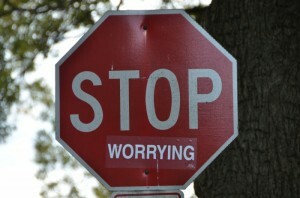 Walk on this path and you will find rest for your souls….See Jeremiah 6:16). God wants us to build securely on the Eternal Rock—the Word of God. Jesus is our ROCK..He is the firm foundation that we can build our lives upon. Don’t you dare budge off of God’s Word! Stand strong, stand firm, and see the salvation of the Lord. 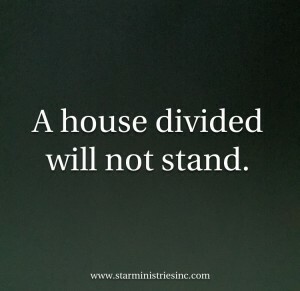 Instead of being divided, be determined to obey God! Believe Him, and trust Him! He is always faithful…. 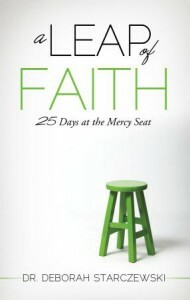 A LEAP OF FAITH (25 Days At The Mercy Seat)…the full account of God raising my husband from death, healing him from two strokes and two open-heart surgeries….25 days at Mercy. This book will encourage you to take your own leap of faith! THE MIDNIGHT HOUR (WIll America Turn Back To God? )….a must read for all.